The car dealership market has been remarkably stable over the past few decades, but industry experts warn that despite recent banner years like 2015 and 2016, which saw Americans buy new cars at a rate unprecedented in the 21st century, factors driving growth may not be particularly sustainable. Dealerships could be in for a bumpy decade. Live chat software is one of the most important new tools helping dealerships respond to the challenges involved in providing superior customer service at a time when, even in the automotive industry, sales are increasingly taking place online. If you want your business to weather the changes facing the industry and come out on top, you shouldmake sure your dealership has chat software that delivers a superior experience to customers and generates strong leads for your business. Because as every salesperson knows, strong leads mean regular sales. Arecent story involving the Florida-based Gubagoo, a provider of dealer chat software, and the Checkered Flag Group of dealerships in Virginia provides a particularly illuminating case study that illustrates how sophisticated a tool dealer chat software can be when used correctly. Before partnering with Gubagoo, the Checkered Flag Group had already started using live chat software to generate leads. But it found its dealershipsalespeople were struggling to manage the volume of incoming chat messages, and spending too much time pursuing unserious leads. Precisely because live chat is so easy for potential customers to use, staff found themselvesansweringconcierge-type questions about dealership hours and location rather than making sales on the show room floor. This put them in the difficult position of not being able to prioritize the most promising leads because they needed to respond to every potential customer. Gubagoo’s live chat service takes into account the fact that a dealership’s sales team is one of its most important assets. It is designed toensure that sales personnel are only brought into a chat when their expertise is needed. Gubagoo has its own customer service team to field immediate requests to chat and answer preliminary questions, until the potential customer is ready to discuss more serious questions around price and financing with dealership staff. 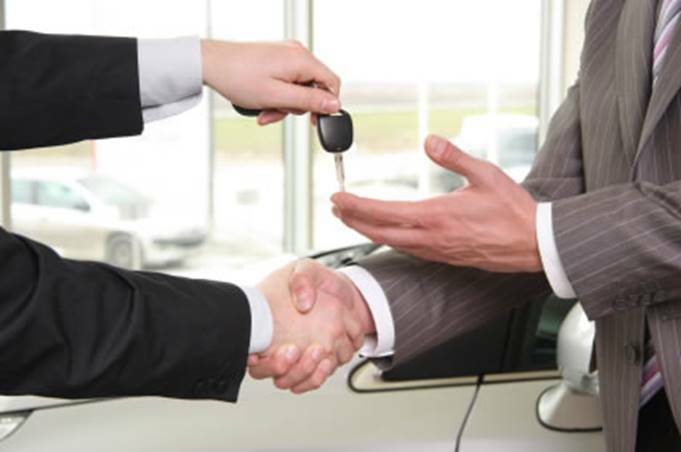 Dealership salespeople are able to monitor these conversations and jump in if they feel the shopper is beginning to really considering a purchase. They are also able to communicate discretely with the support team member as they attempt to address the potential customer’s concerns — they can even send potential customers a preliminary application for credit. The result? The Checkered Flag Group saw a four-fold increase in sales after upgrading their live chat provider, and have been able to maintain this increase fairly consistently. This case illustrates how important the right live chat provider can be for dealerships that want to generate solid leads that translate into real sales, and serves as a reminder that the best customer service technology should be designed to enhances and complements the strengths of a dealership’s sales team.